The dictionary defines happiness as ” the state of being happy” . What does that mean though ? 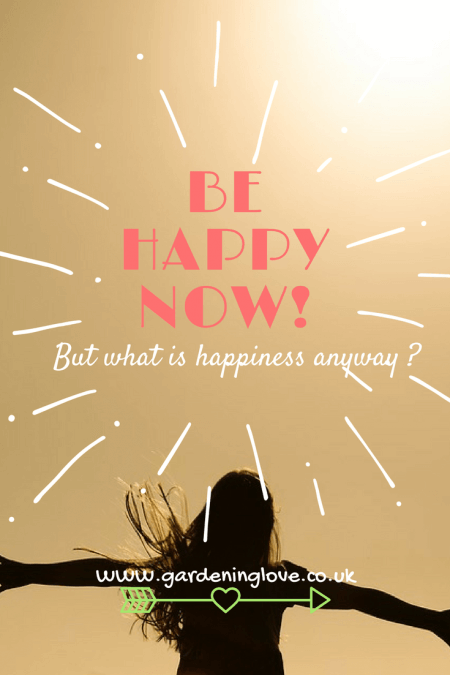 What is it to be happy and how can we find happiness in our lives ? I suppose that’s the million dollar question as we are all in the pursuit of happiness ……..are we not? Equally my happiness triggers such as eating vast amounts of chocolate whilst watching crap TV or experiencing the satisfaction of popping bubble wrap may not be to your taste. We are unique and seek happiness in our own little ways. I have often thought that there seems to be a lot of pressure on people to be happy. That if we are not all out there grinning like Cheshire cats, perusing happiness then we are in fact ………sad. As a result of this I actually find happiness a little bit daunting at times. If I am not constantly happy then maybe there is something wrong with me ? The majority of us have grown up with images and adverts thrust at us. Dress like this to be happy, buy this perfume, bag, coat so you will look and feel happy like the model wearing them. Date this type of man/women , walk like this and talk like that so that we can all fit in with each other and live in one big happy bubble !!!! I bought the handbag, the coat, the makeup. I still felt self conscious and happiness wouldn’t even enter my head until I was on my 5th tequila. Some days are just bad days, that’s all. You have to experience sadness to know happiness, and I remind myself that not every day is going to be a good day, that’s just the way it is ! I am now approaching my mid thirty’s, and I’m still figuring out what happiness is. Yes my children, husband, family and friends make me very happy and I’m sure you would say the same about yourself. But what else makes you happy? I will be honest here, for me I do find contentment in watching the clouds , putting fresh flowers on my dinning table, seeing the flowers grow in our garden, sunny autumn walks. It’s the simple things, the little details for me that put a cherry on my day. For some people, those things may sound really bland. All the thrill seekers and the daredevils out there who pursue happiness on a different level. Jumping out of planes and climbing up cliff edges. The difference is …..I’m happy for them, I truly am. It’s all about what floats your boat. You see, I’m done with worrying about fitting in anymore, living up to the worlds expectation of what should and shouldn’t make me happy. I’m happy I’m finally finding my voice, I’m happy that I don’t always feel the need to buy black clothes any more and that maybe I can actually rock a colourful outfit ! I’m happy that I don’t always conform and above all I’m happy that I’m realising its actually ok to be me. Check out this post for top tips on living your best life, for a dose of happiness inspiration ! So come on then……. what makes you happy ? Do you ever feel there is a pressure to be happy? Please share your happy or unhappy thoughts in the comments below. I’ve been on an anti-estrogen drug for nearly five years for breast cancer that has leveled my happiness meter. I’m usually like a puppy; super hyper, always positive with a high level of happy. This drug gives me a PMS feeling every day. Kind of like anxiety with a twist of guilt without anything at the core. I have 20 more days and I’m DONE!!!! “…there seems to be a lot of pressure on people to be happy.” I like how you start off with this idea. Certainly we are surrounded by ads telling us “This is the pathway to happiness,” as though it’s something we get or have or achieve. Kudos to you for calling attention to this dilemma. Happiness for me is appreciating what I already have. Whatever that may be. Like knowing you can actually see the clouds overhead, or seeing the flowers in your garden grow. Love this post! I too find the simple things in life to make me the most happy. If someone remembers you, if someone thought of you when seeing something, if i can go a whole day without dropping something or have time to spend outside in the garden, chatting with my cats at the same time. Those things makes me really happy.